It is highly recommended to seek help and guidance from the ALC as early as possible, especially if English is not your first language. The ALC can help you with the written communication by checking your assignment for grammatical correctness and that your arguments are logical. They will also help you to ensure that you understand the questions and answer them by applying theoretical knowledge in answering the questions. You will not receive any marks if you make generic, theoretical, vague and stray claims and statements without applying them to the particular situation. Please use the marking criteria sheet as a guideline for how marks will be allocated. 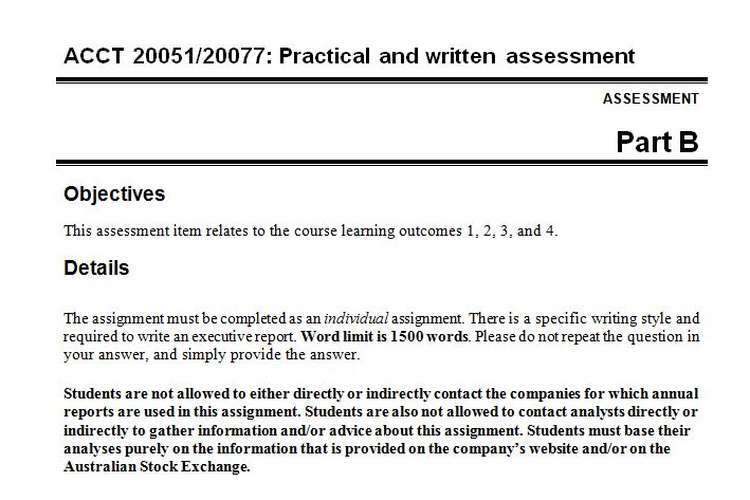 You will note that marks are allocated for referencing as it is expected that you do research in this assignment. If you choose to support your answer with using the work of others, please ensure that you use the correct referencing style (Harvard referencing style) as stated in the Course Profile. Document submitted onto Moodle must be in Word format, allowing the marker to use track-changes to provide comments and indicate where you received marks. Please do not submit a pdf document or copy from another source such as for example include screen shots of calculations done in excel. The track-changes function cannot be used to do the marking in these and hence only information created in Word will be marked. Marking criteria sheet is completed and attached as the first page of the assignment. Please note: 2 marks are allocated for complying with formatting and submission requirements. Work submitted by a student that is the work of another person with no referencing or acknowledgment is considered to be plagiarism. If plagiarism is suspected, your assignment and results will be withheld and a Plagiarism Incident Report (PIR) lodged. You will then receive notification from the University with details of the necessary course of action.